Education and cognitive psychology are natural companions-they both are focused on how people think and learn. Although collaborations have occurred for many years, recently there has been a much greater interest in collaborations that bring cognitive principles into classroom settings. This renewed collaborative research has led both to new evidence-based instructional practices and to a better understanding of cognitive principles. This volume contains overviews of research projects at the intersection of cognitive science and education. 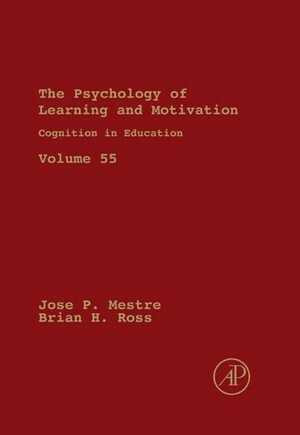 The prominent contributors-cognitive psychologists, developmental psychologists, educational psychologists, and science educators-were chosen both for the quality of their work and the variety of their contributions-general principles; influence of affect and motivation; and focus on math and science education. This volume contains overviews of research projects at the intersection of cognitive science and education. The prominent contributors were chosen both for the quality of their work and the variety of their contributions-general principles; influence of affect and motivation; and focus on math and science education.